Mima Kids is expanding and we’re here to show you the goods! Mima Kids isn’t just doing beautiful space age single and double prams; it has branched out into gorgeous highchairs and strollers too – each with the most appealing features to suit a range of purposes. 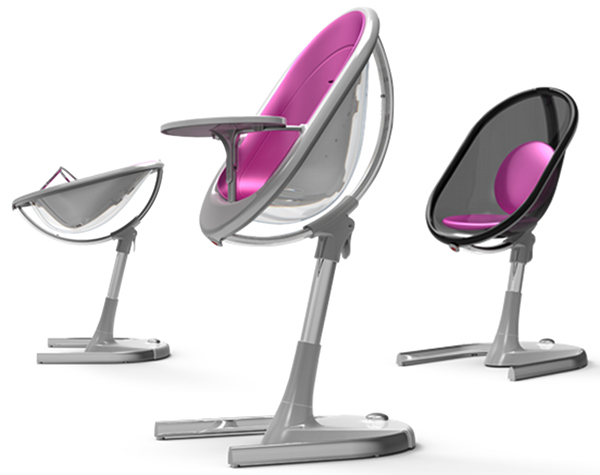 First up is the absolutely stunning Mima Moon highchair. Not content just to perform one task, the Mima highchair morphs from newborn lounger, with baby up nice and high while you do some household jobs, to highchair for feeding from six months, right through to a junior chair for kids up to 45kg. I want one now! 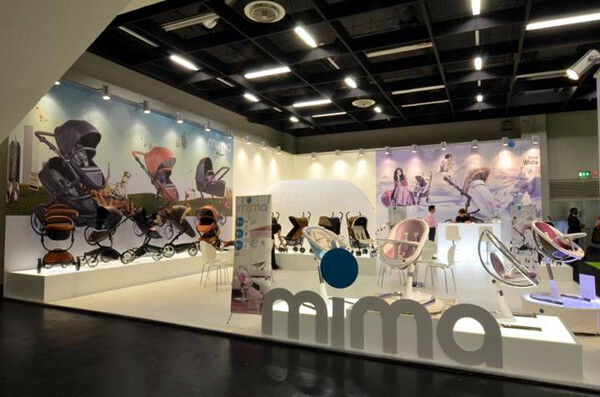 Mima Kids is at the Kind & Jugend trade show and have just posted this photo on its Facebook page – in it you can quite clearly see the Mima Moon highchair in action; what a looker! 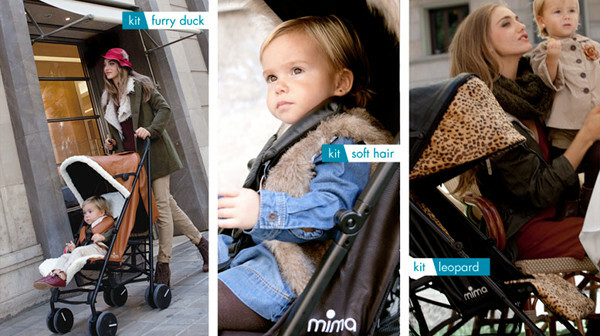 All the way over in the back there is the brand new Mima Bo Prêt-à-Porter stroller – a stroller whose look can be totally revamped with stunning fur sets that can be purchased. There are an astounding seven options to choose from, with three colours of leopard print – my personal favourite – to white and browns paired with elegant black. The Mima stroller is lightweight but heavy on pizazz! Below you can see the fur kit options. We do know the new Mima Kids products will be available in the first quarter of 2013 and we’ll keep you updated about an Australian launch.